Christmas Day is sometimes understood as the moment to mark the Incarnation, when God became man in the person of Christ. Actually, the Feast of the Annunciation, today, March 25, is a more suitable occasion. The Annunciation celebrates the appearance of the Angel Gabriel to the Virgin Mary, and his announcement that she was to be, with her fiat–her consent–the mother of Christ. Christians who celebrate the Annunciation have always understood the conception of Christ to have occurred at the same time. Hence March 25 is also understood as the Feast of the Incarnation. The divine embryology implied here is clear. Christ is conceived–becomes man–March 25 and is born nine months later. 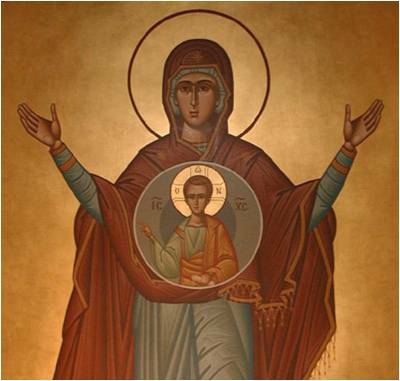 Accordingly, the ecumenical Council of Chalcedon (451) declared that Christ “from the very moment of conception” took on the body he acquired from the Virgin Mary. He became human at conception, not at some later point. But what about us? For centuries, the Christian West was heavily influenced by the embryological theory of Aristotle–at least as Westerners understood it. According to Aristotle, the human embryo began in a kind of plant-like or vegetative state, progressed into an animal state with the acquisition of sensation and movement, and finally became fully human–acquiring a “rational soul”–at 40 days for males and 90 days for females. With some variation Western Christianity embraced this basic position at least until the Reformation, when some Protestant Reformers, particularly Martin Luther, adopted the theory of traducianism–the view that each human soul was not directly created by God but instead transmitted from parent to child. Traducianism implied the soul’s presence at conception and undercut the Aristotelian view that ensoulment was delayed. By the early seventeenth century Catholics, too, began to abandon Aristotle and embrace ensoulment at conception, though they continued to maintain that each soul is created directly by God. In the Catholic calendar this year, the Feast of the Annunciation has been moved to April 8 so as to stand clear of Holy Week. Every Christian, however, can honor the Annunciation today not only as a celebration of the humanity of the unborn Christ, but also as a recognition of our own humanity, granted to us by God at the moment we first came into being. You have taught us too well–a lesson that I will never forget and will take with me forever. The words of Didache keep coming to mind…”abortion is a sin.” After studying “Finkbine” I am convinced there is a middle ground for the health reasons only of the mother carrying the unborn.